Witchery Wine was founded in 2009 by Gordon Larum and his partners, Richard & Dawn Hawthorne and later joined by Patrick and Marie Carpenter. Gordon (Gordy as he is called) was born and raised in St. Helena – his father moved the family to the Napa Valley after he took a job as the Director of Purchasing at Robert Mondavi Winery and later at Opus One. After graduating high school Gordon’s first job was at Beringer Winery at age 19 where he worked in the Rhine House initially washing dishes. He spent seven years at Beringer recalling part of his time was spent working with an old World War II vet “Gene” Metz who was one of Beringer’s tour guides at the time. Gene took Gordy under his wing – Gordy describes his time with Gene as like ‘being a sponge’ learning as much as he could about wine in two years. Gordy has worked at a number of wineries over the years including at Clos Pegase (where he was responsible for their corporate dining events) later followed by Pine Ridge (a similar role) and at Kuleto Estate – helping plan both private and larger group events. Gordy has lived in Rutherford for many years – recalling one of his next door neighbors was the Venge’s (prominent wine making family). One of Kirk Venge’s prominent wines is Scout’s honor – Gordy remembers the original ‘scout’ the Venge’s owned – always stealing his shoes and hiding them in their chicken coop. It is clear to anyone who meets Gordy that he has a huge passion for the Napa Valley, including its culinary and wine scene. He also has a passion for people. In 2007 looking to start a wine brokerage firm, his path changed dramatically after being introduced to a LASIK surgeon who needed someone to show him around the valley. Impressed after touring with Gordy he asked Gordy if he would help organize tours and tastings on a much larger scale – for some of the 1000 LASIK eye surgeons who were having a conference in San Francisco. Gordy pulled this off successfully and began to think about creating his own tour company. He has since parlayed his knowledge of the Napa Valley, its vintners and wineries into running a highly personalized tour company called Eye on Wine. The company is small and Gordy leads nearly all of the tours. And it was through his tour company that Witchery Wines was founded. As the owner of a wine tour company, one meets people from all walks of life and all over the country – with wine as the most common thread bringing people to Napa. During a number of tours Gordy meets clients who become friends – and they become repeat visitors to the valley. One such client was Richard & Dawn Hawthorne. Conversations sometimes begin with clients who are serious wine enthusiasts – with the following statement that never is exactly phrased as a question, “wouldn’t it be fun to own our own winery in the Napa Valley” – followed by encouragement from anyone listening quickly followed by the end of that particular conversation once the topic of cost is discussed. However one such conversation with Richard and Dawn did not end this way – rather it was followed as Gordy describes it, “by scribbling some basic ideas on the back of a napkin”. 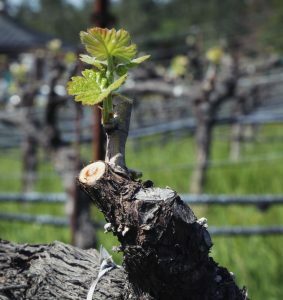 Their first vintage was 2009 – while working at Pine Ridge Gordy met Grant Long who was touring clients around the valley at that time. Grant later went on to start his own winery and has been making the Witchery wines since 2009 (taking over that year after the initial wines were fermented by a prior winemaker). Another of Gordy’s clients became investors in Witchery wines in 2013 – Patrick and Marie Carpenter. It can often be difficult when deciding on a name for your wines – Richard was looking in the dictionary one day and came across the word ‘witchery’ – which dates back to 1543 and is used to describe an irresistible fascination. Or as Gordy says, “our irresistible fascination with the Napa Valley and Cabernet Sauvignon”. While his partners live out of state, Gordy lives in Rutherford and helps manage the day to day operations of Witchery – including handling the primary sales and marketing and working with Grant during blending decisions. 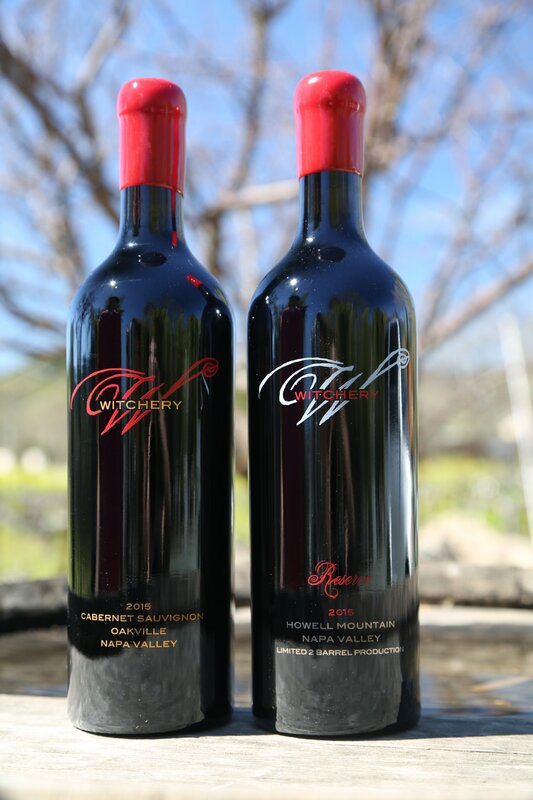 Witchery Wines focuses on small production Cabernet Sauvignon from premium vineyard sites in select parts of the Napa Valley (mostly hillsides). 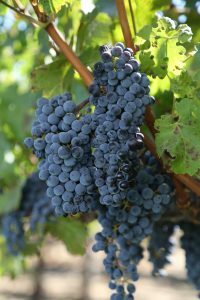 Through Gordy’s stepfather, Mike Neal (of Neal Vineyard Management Company) Witchery has been able to secure access to select premium vineyards in the valley including from Mike’s personal vineyard on Howell Mountain. Witchery also produces a tiny amount of Sauvignon Blanc. Total production on all wines – as of our latest update to this review is only around 350 cases per year. All of their Cabernet Sauvignon wines are hand dipped in red wax – giving the wines an elegant look. Based on personal experience, the easiest way we have found to open these wines is simply place the end of the neck of the bottle at an angle downwards in or under hot water from the faucet (this water never touches the actual wine) – this softens the wax and then with a knife, you can easily cut through and remove the top part of the wax seal – exposing the cork. One can also punch through the wax seal at room temperature with a corkscrew or cut it off with a knife but we do not recommended this method, as the wax is hard and can crack and make a mess (and is certainly not the way to open an older wine with a softer cork). The 2015 Howell Mountain Cabernet Sauvignon reveals an elegant but powerful aromatic core to the bouquet – with darker fruits showing including ripe blackberry (think warm blackberry pie), boysenberry and aromas of black licorice and a hint of wood spice. Flavors of blackberry and plum. Dry but not harsh tannins are slightly chewy – both wood and grape tannins along with notes of cracked pepper and a hint of mocha. A fairly approachable and hedonistic offering in its youth. The 2015 Oakville Cabernet Sauvignon is dark ruby in the glass – the bouquet is luscious with a focus on the fruit – showing mostly darker fruit aromas including blackberry. A pretty part of the nose is the influence of baking spice, cloves, vanilla and hints of espresso. Fairly supple across the palate, this wine drinks well young. Lingers with both a toasted wood spice nuance, fine grained tannins and plenty of flavor. Very long finish. 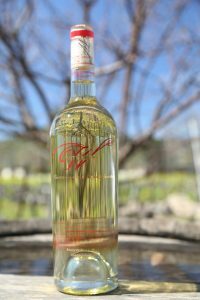 The previous vintage of this wine took Gold in Best of Show at the Finger Lakes International Wine Competition. The 2016 Sauvignon Blanc was sourced from a vineyard on State Lane in the Yountville sub appellation. It reveals lively aromas including of citrus blossom, lemon zest, mineralities, hints of caramel and as it opens further, pineapple. Rounded, with balance and richness across the palate, the wine finishes clean and is all about the fruit. Easy to drink by itself – doesn’t have the tartness that certain styles of wines from this varietal often have. 100% stainless steel fermented.